Lost your car keys? While on one hand, you would be unable to operate your vehicle, on the other, you would have to shell out a fortune to get replacement keys made. Car keys don’t come in cheap, owing to their complexity. Requiring programming and precision-engineering, it’s a technically challenging job, however, it’s nothing that our automotive locksmiths can’t handle. 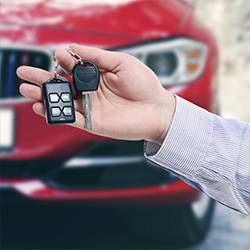 With extensive experience in catering to the unique demands of vehicle owners, we can make car keys, resolve ignition problems, fix locks, unlock car doors and more, at a fraction of the cost charged by your dealer. In order to facilitate the provision of automotive locksmith services, we have exclusive mobile operations vans, special tools, and have hired specialists in the domain, to provide unparalleled services. 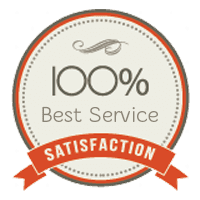 Such superior levels of service have earned Chestnut Hill Locksmith Store a prominent position in the locksmith industry and the trust of the Chestnut Hill, MA community. With efficiency, quality, and affordability forming the core of our operations, we’ve become the go-to auto locksmith in the region. Car lockout? We can help! You step out of your car, completely oblivious to the fact that you’ve forgotten to take your keys with you and slam the door shut. Sounds familiar? From experience, we know that car lockouts are fairly common, but that doesn’t depreciate the stress such events bring in. Imagine being locked out of your vehicle late at night, with no help in sight. 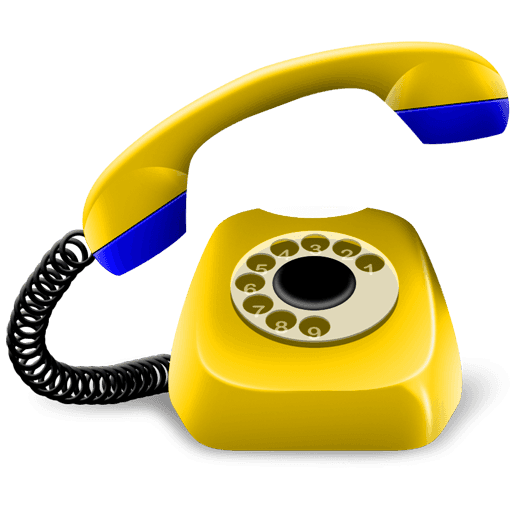 Before you push the panic button, call us! 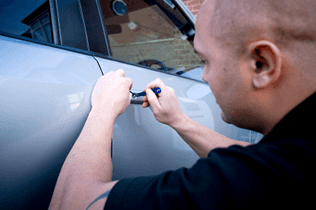 Our automotive locksmiths have dealt with hundreds of lockout cases, and can handle yours with adequate ease. Be it convertible or a sedan, no matter the make or model, we know how to work our way around locks and can restore access in minimal time – and with zero damage. In need of a new car key? Are you facing ignition trouble? You don’t have to tow your vehicle all the way to our workshop or visit every other locksmith in town to get keys made. All you need to do is call us, and we’ll send our locksmiths to your location. No matter where your car is, by the side of the road or your own garage, we can get there and work onsite. We own special mobile vans that act as our mini workshop on wheels. Loaded with all the equipment needed, our experts will work out of these vans to complete the task. Watch our experts program transponder keys, fix locks, replace ignition switches, make new car keys and more, right in front of your eyes. Looking for an automotive locksmith in and around Chestnut Hill? You’ve come to the right place! Reach out to us today!